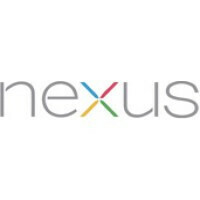 Earlier today, T-Mobile revealed that Google is pushing new Android updates for almost the entire Nexus lineup. The targeted devices include the LG Nexus 4 and Nexus 5, the Motorola Nexus 6, the Asus Nexus 7 (2013), and the HTC Nexus 9. All of these devices except for the Nexus 6 will get their build numbers updated to "LMY48M". The Motorola-made phablet build number will be updated to "LTZ28K" once the update is installed. Note that the new Android updates do not bring any new features to the Nexus smartphones and tablets. Instead, the new updates are designed to tweak various elements under the hood, where bugs will be squashed and the security of the Android OS will be patched. About a month ago when the Stagefright bug took the Android world by storm, Google announced a new initiative, promising to launch monthly security updates for its Nexus devices. These new updates might be the first ones in this initiative, but Google has yet to confirm this. Since the updates don't bring any new features, the OTAs are quite small in size. The Nexus 6 update weighs 30MB, but the others clock in at under 20MB. Although most data plans would be able to cope with such small updates, you'll have to download the updates over Wi-Fi. Don't worry if the updates did not reach your device yet; the updates will gradually roll out across servers, meaning that it may take a while before the OTA becomes available for download. The factory images have yet to show up, but that may change over the next few days. Nexus 4 is damn near 3 years old now, it's good to see Google doing this. Once again, if you're buying a non-Nexus device, you are comitting a cardinal sin. This is what I am talking about... Hell Yeah........! Would have been nice on my ASUS Nexus 7 (2013) if it wasn't bricked by Lollipop. Moved on to a Windows tablet.